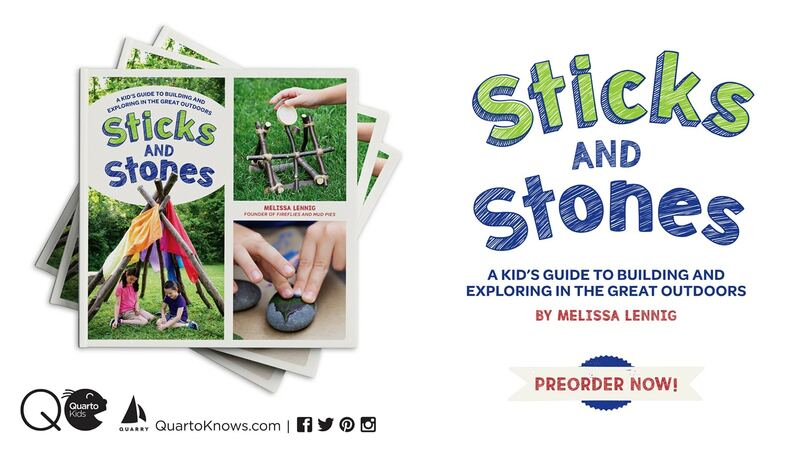 By Melissa Lennig on April 9, 2019 Leave a Comment. This content contains affiliate links. As an Amazon Associate I earn from qualifying purchases. Anyway, it’s no wonder these easy muffins are his favorite. 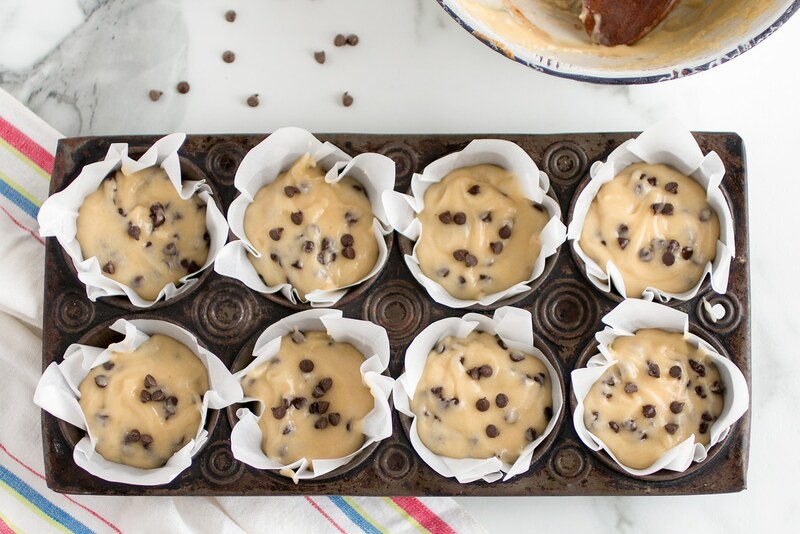 When our favorite Saturday morning Chocolate Chip Muffins are cooling on the counter, little feet constantly shuffle in and out of the kitchen and the soft, sweet muffins are snatched one by one until only crumbs are left on the plate. 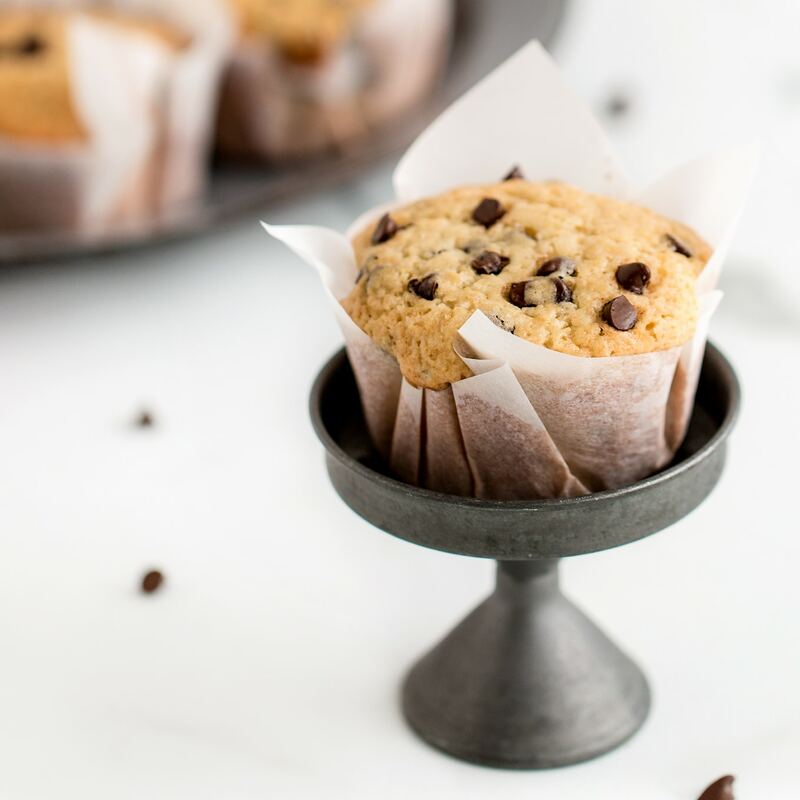 This tasty muffin recipe uses 9 simple ingredients that you probably already have in your kitchen! Best paired with a dish of fresh strawberries, a glass of ice-cold milk, and smeared with salted butter (the salt enhances the sweetness of the chocolate), these muffins taste best warm and fresh from the oven. What a delicious way to start the day! Combine the dry ingredients in a medium-sized batter bowl. Make a well in the center of the dry ingredients, then get ready for step 2. Pour the wet ingredients into the well. 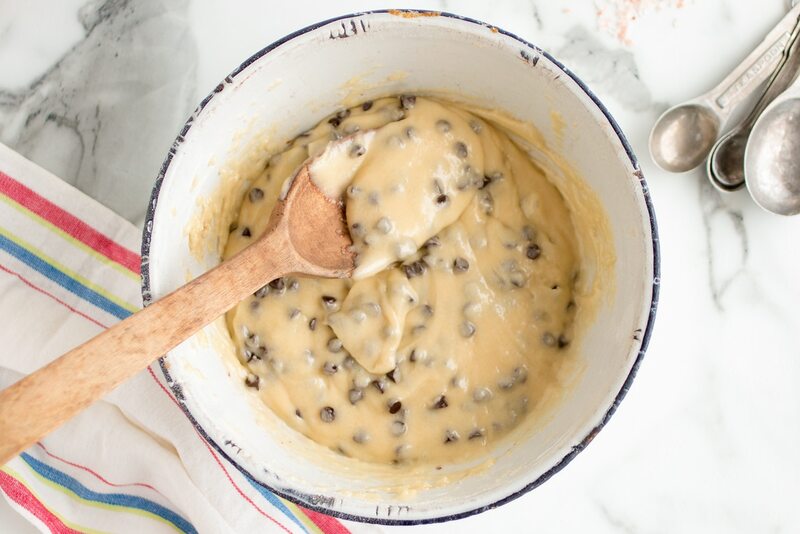 Mix the muffin batter well, then stir in the chocolate chips. Tip: Use buttermilk instead of whole milk for extra moist muffins! 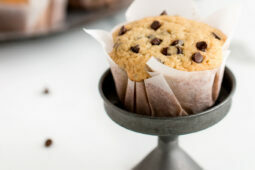 Fill each paper muffin cup 3/4 full with muffin batter (using a scoop is easiest), then bake for 20 minutes or until a toothpick comes out clean. While the muffins are in the oven, snuggle up with your little one and indulge in a bit of Wild Kratts—morning snuggles and muffins are the best! If desired, sprinkle the hot muffins with a small amount of sugar. Let the muffins cool in the tin for about 5 minutes before transferring them to a wire rack. 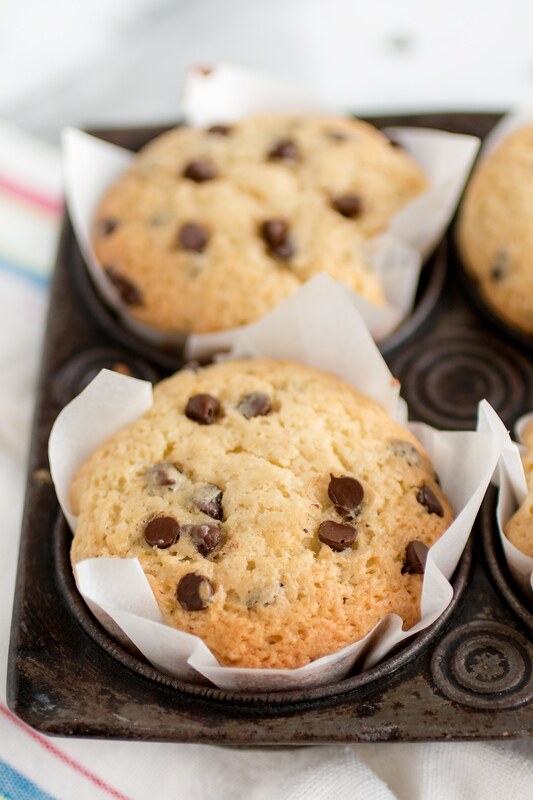 Store cooled muffins in a covered container at room temperature for 3–4 days, or freeze for later! 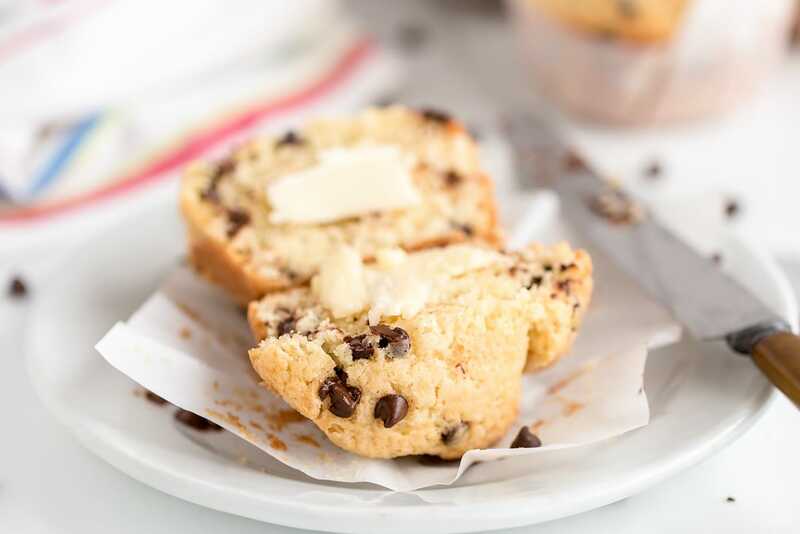 Best paired with a dish of fresh strawberries, a glass of ice-cold milk, and smeared with salted butter, these easy chocolate chip muffins taste best warm and fresh from the oven. What a delicious way to start the day! Pre-heat the oven to 350° F. Line muffin tins with paper cups or parchment paper. 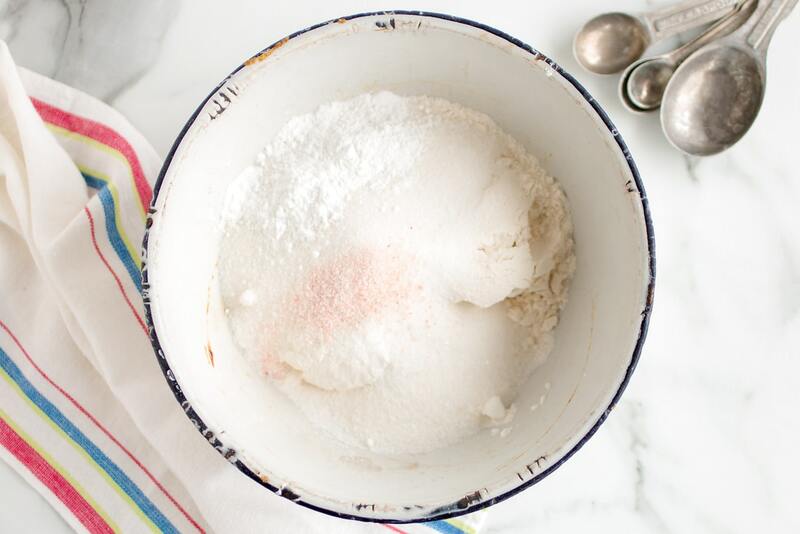 Mix the dry ingredients together in a medium-sized bowl. Create a well in the center of the dry ingredients, then pour in the wet ingredients. Mix well. Scoop the muffin batter into the muffin cups until 3/4 full. Bake muffins for 20 minutes or until a toothpick comes out clean. This post was originally published on June 23, 2016.